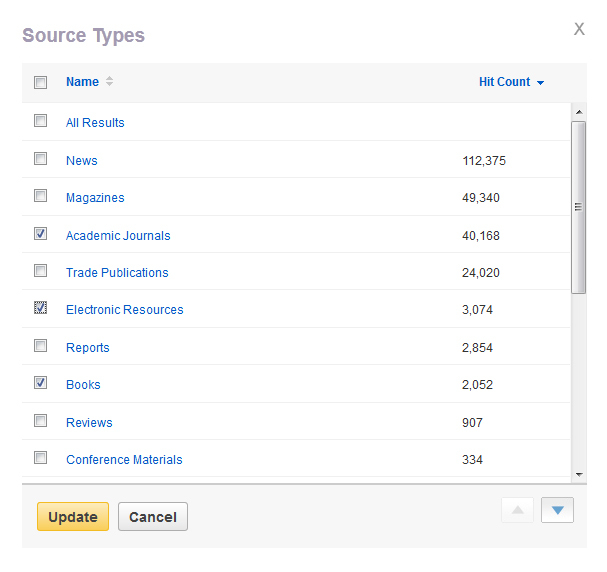 Click the toggle arrow to expand or collapse a group of refinement choices, such as Source Types, Subject, Author, or Publication. Click the Show More link to see even more options. Tick one or more checkboxes and click the Update button to refine your results. Note: the refinement options listed change depending on the items in your search results list. 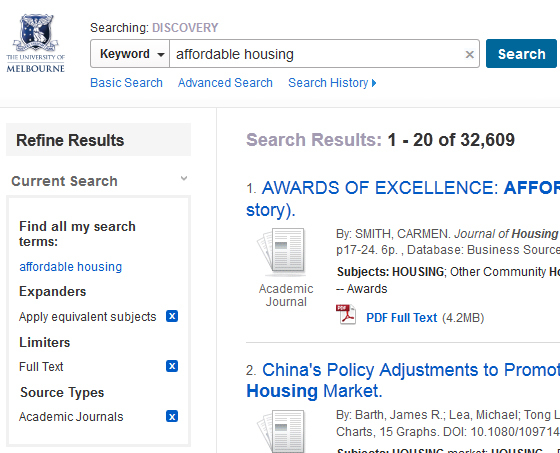 Click the toggle arrow next to the number of results to see your search terms and any search options you have selected. You can remove any refinement by clicking the box next to it. Look at the terms used in your recommended reading, lecture notes and textbooks. Use reference sources such as, dictionaries, encyclopedias or handbooks to clarify the definition of keywords and concepts. A thesaurus can help you to find related terms and synonyms.